With the stone masonry school in Bol, it comes as no surprise that the town is covered with sophisticated works chiseled from Brač stone, including many sculptures that are dotted about the picturesque town. See how many you can spot along your travels. 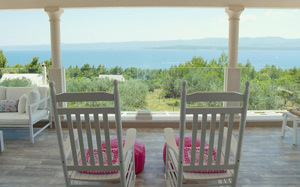 Wander along the Bol promenade, which takes you along the seashore from the town of Bol all the way to Zlatni Rat Beach. 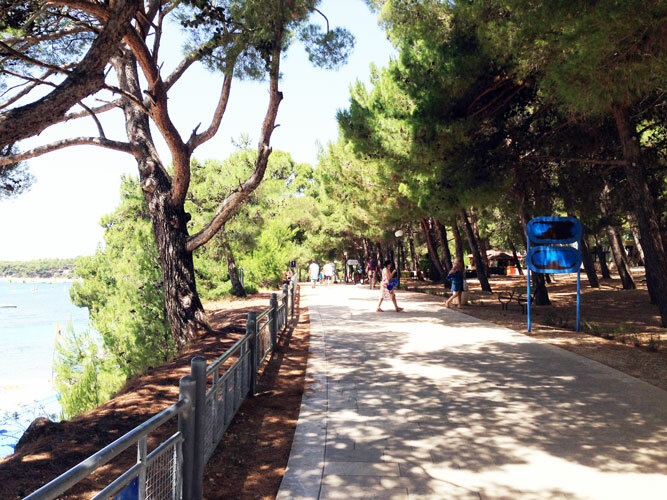 The route is lined with Brač stone and shaded with large overhanging pine trees. I’d suggest wandering along with ice-cream in hand on your first day to pick out your favourite beach spots. Pick up a Brač stone souvenir, clock, mortar and pestles, candlestick holders and magnets are just a few Brač stone souvenirs cut, sanded, polished, and awaiting to be taken home with you. One of the best places to pick up a souvenir is at one of the several kiosks along the beach promenade. And sip a coffee at the most beautiful bar in Bol... Bolero cocktail bar at the Zlatni rat promenade.